Automotive technology has grown by leaps in the last few years. Innovations such as electric cars, regenerative breaking and autonomous cars are rewriting what the future automobile will be. But despite these advancements, the combustion engine remains the king of the road – at least for now. Combustion engines require regular maintenance for them to operate in their best condition and changing engine oil is one of the most important parts of a car’s routine service. As its name suggests, it involves removing old oil from the engine and replacing it with fresh oil. An oil change is usually accompanied by an oil filter replacement. Why Perform Oil Changes Regularly? The combustion engine consists of numerous parts that are constantly in motion. This action generates high amounts of heat which could cause the components to malfunction. As oil circulates within cavities in the engine, it draws out heat and lubricates moving parts. The heating and cooling of engine oil over time causes it to degrade and lose its unique thermal and lubricative abilities. This leaves the engine susceptible to damage through heat and friction. The aim of changing oil is to remove engine oil before it is degraded. There are two main types of engine oils available today. The first, conventional mineral oil, is the most widely used kind. The second and lesser known variety is synthetic oil. Both are manufactured from crude oil and only differ with regards to their refinement process. Synthetic oil is produced from more advanced refining techniques, giving it a higher purity and quality over conventional oils. These properties allow engines to run cleaner, more efficiently and with better protection. 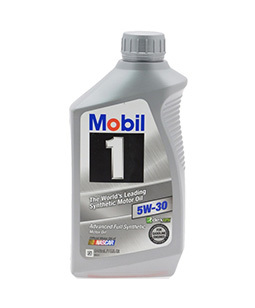 Synthetic oils are quickly gaining popularity as the preferable engine oil for today’s modern engines. How often you should change your engine oil is determined by a number of factors. Your driving style, the engine’s year of manufacture and prevailing climate all influence engine performance and consequently have an influence on its maintenance. The consensus is that an oil change every 3,000 miles is good. A study titled Automotive Service Excellence Survey reported that 90% of surveyed mechanics suppose the surest thing a driver can do to maintain their vehicle is changing their oil every 3,000 miles. Remember, fast drivers tend to put more stress on their engines and therefore require more frequent maintenance. This is also the case with older engines which have less efficient designs. Lastly, areas that have extreme weather conditions will also require more frequent oil changes for your vehicle. At West Coast Auto, our highly trained team of car service technicians have performed thousands of oil changes for our clients over the years. Contact us to schedule an appointment today and keep your car’s engine in shape for years to come.